Weight loss surgery is an effective way to deal with the problem and reduce weight. Surgical weight loss treatment is basically alterations done in your stomach or digestive system. So ultimately consume lesser amount of food and achieve massive weight loss. Through weight loss surgery your stomach size is reduced, so you avoid eating more and reduce weight and you will be able to maintain the lost weight. So you don’t just reduce the weight but keep it off in the long run too. In short you are altering your eating and lifestyle habits for life time. Limit Your Calorie Intake: you need to consume lesser amount of calories after the surgery, remember each calorie counts, take nutritious food and focus on fruits and vegetables. Avoid Sugar: Sugar can increase blood sugar level in your body that can cause hunger pangs. So, it might be difficult for you to overcome the carvings and you might just end up eating more, which is not suitable. Limit Fluid Intake: you need to consume about 1.5 – 2 litres of water a day. It is wise that you take small fluids during the day to avoid dehydration. Drinking more water before and during or after the meal fills your stomach with fluid, and you end up eating less, this can make you feel hungry soon. It is suggested that you take fluid least a half an hour, before or after meal. Avoid High Calorie Foods And Carbonated Drinks: High calories carbonated drinks snacks or meals is difficult for your stomach to digest. It can cause uneasiness and pain due to increased pressure in your stomach. Focus On Protein: Protein should be a major part of your meal, protein makes you feel full for longer and you will be able to feel full for longer and avoid snacking between meals. 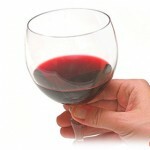 Avoid Alcohol: Alcohol is high in calories and has no nutritional value. After the surgery you can get back to your normal lifestyle. But your body becomes sensitive and Alcohol can cause a lot of risks. Take 5 to 6 small meals a day, go for food that can be digested easily and remember to chew your food well, slowly and thoroughly before swallowing. Avoid high caloric foods, as it can reduce the rate of weight loss and you might not get desired results. Generally you won’t feel hungry in between meals, but in case you do, avoid unhealthy snacking or high calorie food. Instead grab a bowl of salad, or a fruit or fresh glass of juice. It is vital to take the required amount of vitamins, minerals and proteins. Malnutrition is quite common after the weight loss surgery. Take oral multivitamin supplements or pills. After the surgery you will be beginning your journey towards a healthier life, so be determined. It is better to take many small steps in the right direction, be patient and enjoy the positive effects now and for lifetime.